Winter is coming. 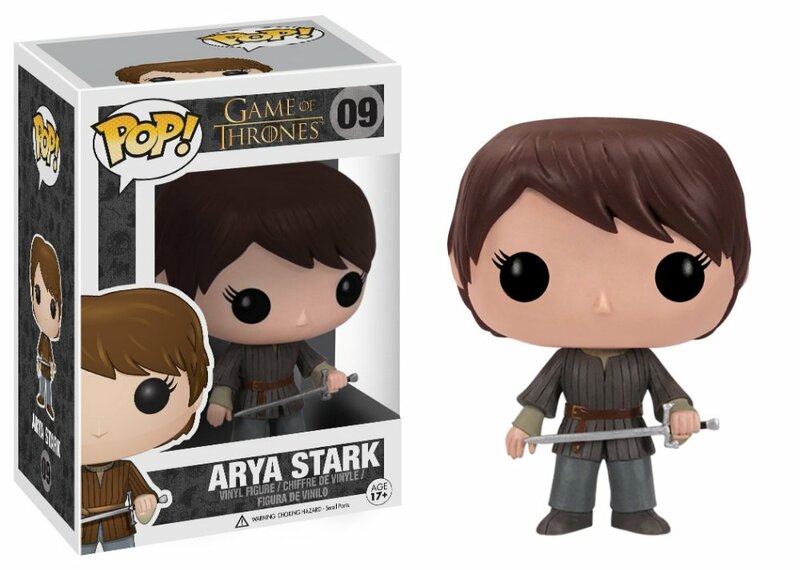 If you or somebody you know loves the Game of Thrones television series on HBO, then this Game of Thrones Arya Stark Pop. Vinyl Figure is the perfect gift. Measuring 3 3/4-Inch tall, this figure features the fierce daughter Stark holding Needle and rendered in the awesome stylized Pop. Vinyl figure style.Winter is coming. If you or somebody you know loves the Game of Thrones television series on HBO, then this Game of Thrones Arya Stark Pop. Vinyl Figure is the perfect gift. Measuring 3 3/4-inches tall, this figure features the fierce daughter Stark holding Needle and rendered in the awesome stylized Pop. Vinyl figure style.